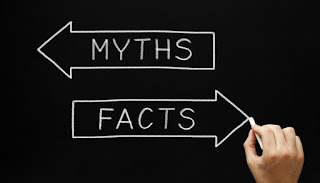 There are many common myths that circulate the real estate market. Misconceptions are often a result of hearsay or groupthink, resulting in inaccurate assumptions that are taken as fact. Most of these myths are easily answered and explained. 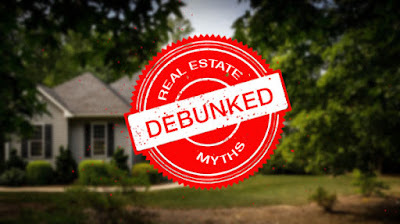 Below are some of the most common real estate myths and the truth behind these widely held beliefs or misunderstandings. MYTH: The real estate market is predictable. TRUTH: We’ve seen it too many times before. Things can change fast in the real estate market. 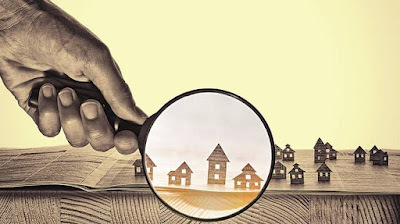 Recessions, environmental-caused devastation, sudden changes in crime rates, increase in the number of homes that come on market, and other unknowns can have a huge impact on the stability of the real estate market. Still, most experienced Agents and Lenders can predict the immediate direction of the market, barring no major catastrophes occur. Still, it is always advisable to learn about the market and understand what is happening before and during your home sale or purchase process. MYTH: You need lots of money to invest in real estate. TRUTH: As a buyer, you will need enough for earnest money to lock in your real estate purchase contract, plus appropriate cash to pay for the buyer expenses. Common expenses such as earnest money, home inspections, and closing costs will require cash payment at the time of deadline per the purchase contract. There may be a few additional costs involved in the purchase process before home ownership is complete, so having reserve cash is recommended. Aside from these, a non-cash buyer will need to secure the remaining home purchase funds through a home loan and a qualified Lender. MYTH: Get pre-approved after finding your perfect home. TRUTH: Many home buyers don’t fully understand the need for getting pre-approved before engaging a real estate Agent (or at the very beginning of working with an Agent.) A buyer should be pre-approved before looking at homes for a number of reasons. For one, there is the possibility of great disappointment if the buyer finds that dream home and then learns he or she cannot qualify for enough money to purchase the home. For another, if the buyer puts in an offer on a multiple offer scenario, the seller will most certainly require the Lender’s pre-approval letter to ensure the buyer is serious and able to make the home purchase. If the buyer has not been pre-qualified, he or she may lose the opportunity for the home purchase entirely as sellers will only consider serious and qualified buyers, especially in a multiple offer scenario. Most experienced Agents will encourage or require their buyers be pre-approved by a licensed Lender before working with them or showing them homes. Read more about “The Loan Process and Getting Into a Home” here. MYTH: Set your sale price higher than what you want to get for it. TRUTH: Buyers likely won’t look at homes that are overpriced compared to what’s available on the market. Setting a higher price may deter buyers, resulting in being on the market longer. Agents are aware of pricing tactics and will also look at total time on the market when pulling home options for their buyers. If a home is listed at a high price, sits on the market for a while, then drops to a more realistic price, qualified buyers may become suspicious of why the home was priced so high or why it’s been on the market so long. Ultimately, this can have a negative impact for the seller in both time on market and list price. It is a best practice to always price your listing appropriately for the market and negotiate when an offer comes in. MYTH: Sellers will earn back all their renovation costs in their home sale. TRUTH: A seller can recoup some of the expenses of home renovations, but it is nearly impossible to recover 100% of the costs. Siding replacement tends to bring the highest return, along with updated kitchens and bathrooms. Keeping a house updated is ideal to yield a higher sale price. The primary instance when upgrades are not recommended is when the market is flat or trending down. MYTH: Eco-friendly features yield a higher sale price. TRUTH: Although a wonderful earth-friendly addition to a home, in many areas, if the home is priced higher than comparable homes without the “green” features, buyers may be more willing to forgo the eco-friendly home for a lower priced comparable. Talk with your Realtor about appropriate home pricing. Consider the cost of eco-friendly updates and how long you will stay in your home before you make the investment, or understand that the new eco-friendly features may not increase your home value as much as you want, nor will it necessarily guarantee you a higher sale price. MYTH: You can save money if you don’t use a real estate Agent. 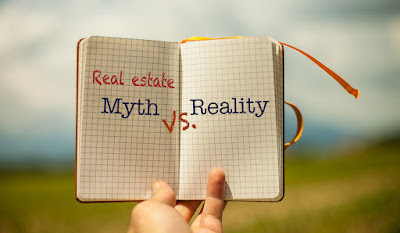 MYTH: All real estate Agents are the same. MYTH: It is fast and easy to make money as a real estate Agent. TRUTH: Licensed Realtors must complete a required amount of study hours and pass an arduous test before receiving their license. Once a Realtor is licensed, that Agent must spend months building up a database of buyers and sellers, along with quality referrals. Each client is unique and an Agent must understand each client’s needs and expectations. A lot of time is spent on each client and with each client. There’s no such thing as “fast cash” in this industry. To be successful in real estate requires time and energy. MYTH: Realtors work a 9-to-5 job. TRUTH: Real estate is really an entrepreneurial industry. Each Realtor must run his or her business individually. Some brokerages are better than others - providing resources, training, ongoing educational courses, and opportunities to shadow tenured Agents. Regardless of the brokerage or the market, to be successful in this industry, an Agent must work long hours, including nights, weekends, and holidays. An Agent must be available when his or her clients are available. For many, that is after a typical 9-to-5 job and on weekends. Aside from face-to-face time with clients, Agents have a lot of behind-the-scenes work they must do for each client and each transaction. To be good in this industry, Agents must work hard, often resulting in long days and obscure hours. Real estate is more of a lifestyle choice than simply a job. MYTH: Real estate Agents will say or do anything to make a sale. TRUTH: Some people carry a negative perception of real estate Agents, similar to that of a car salesperson. However, Agents are required to abide by a strict code of ethics, rules, laws, and regulations. Breaking these set rules can result in major fines or even loss of one’s license. Agents take these rules very seriously. Also, due to the nature of the real estate industry, Realtors rely mostly on word-of-mouth referrals from current and previous clients, as well as repeat business. With this understanding, Realtors know understand that serving the needs of their clients and watching out for the client’s best interests is not only their required duty as outlined by the code of ethics, but also a necessary for their own direct and long-term success. Have Some Additional Myths You Want Cleared Up? Give us a call and we’ll help answer your real estate questions. We’re here to be of service and we’re happy to help clear up any real estate misperceptions or discuss your real estate goals.